One of the fun things about Taste Washington is making new discoveries. 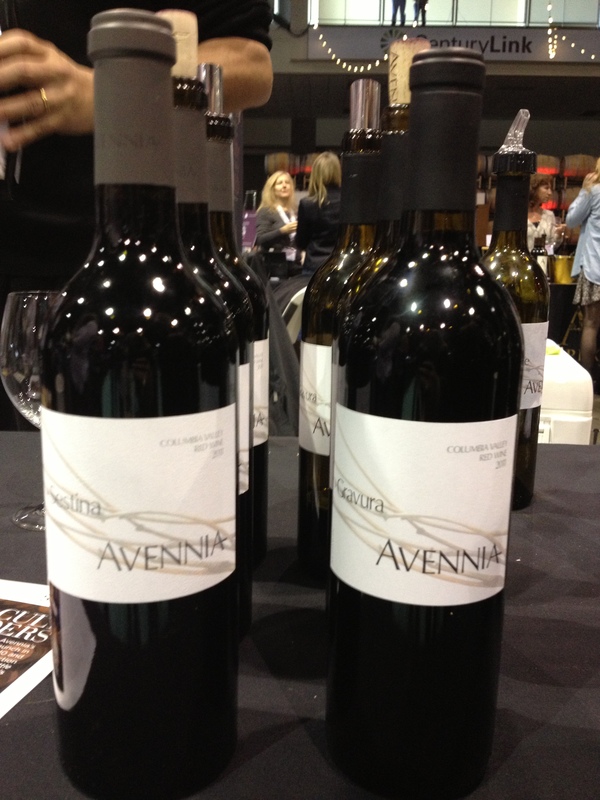 This was the first time that I had heard of or tasted anything from the Avennia Winery, but I can tell you it won’t be the last. Judging from the size of the crowd tasting at Avennia, we weren’t the only ones who were impressed by their wines. Avennia maybe a relatively new winery on the block in Washington, but they are making some really nice wines. 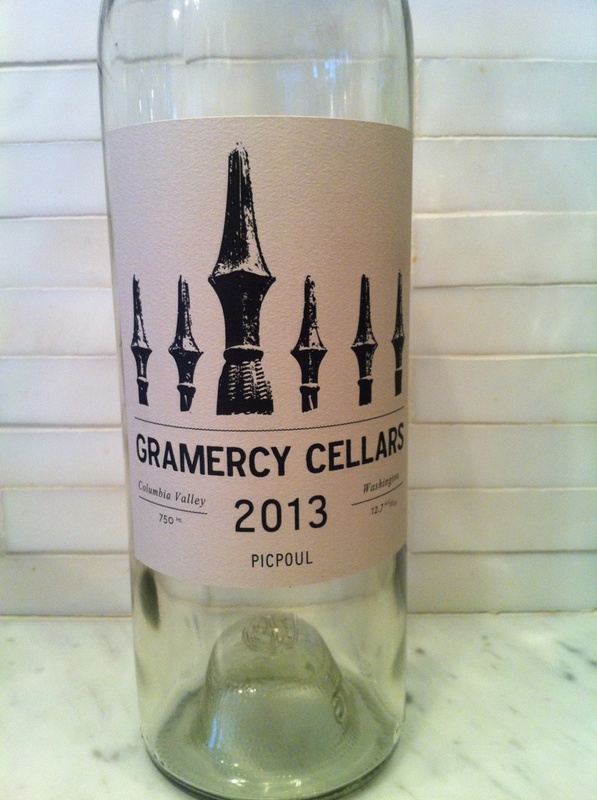 These are exciting, well-made wines to try – definitely worth looking for. Newcomer Avennia wowed the crowd. I have been a fan of Baer wines since the 2003 vintage, and I have had their Ursa wine, which is a right bank Bordeaux blend, more than any of their others. In fact, I just finished off my last bottle of the 2003 Ursa, which was drinking beautifully, with still life ahead of it. 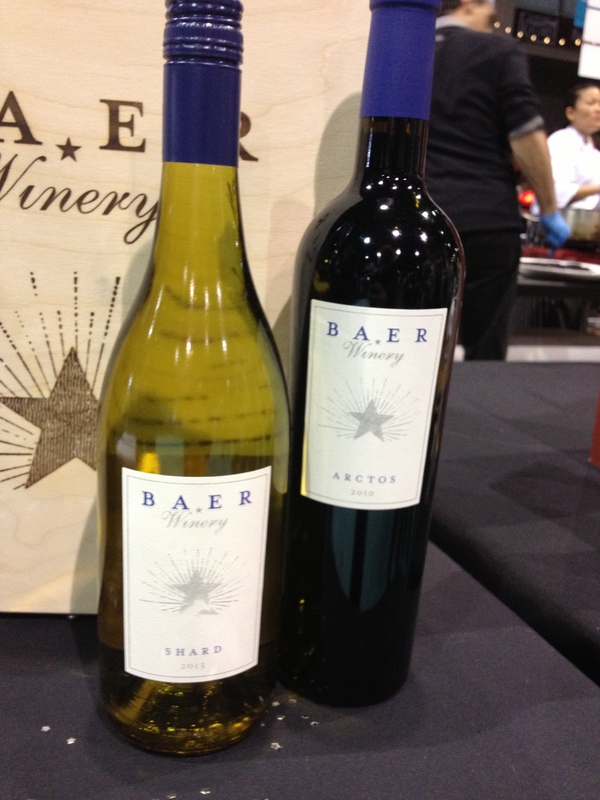 Baer is another solid Washington player – it’s a great go-to wine for nice dinners when you want to drink well without breaking the bank. Baer is a long-time favorite. Again, we weren’t the only fans of Baer in the crowd – they were jumping to keep up with demand. It’s great to see a winery like Baer continue to thrive – it’s well-deserved! We have known Chris Figgins for a number of years, and it’s been fun to watch him expand beyond Leonetti. From his venture with Drew Bledsoe on Doubleback, to his new label, Figgins, Chris consistently demonstrates the ability to hit a high bar with wines that are complex and thought provoking. In general, the wines that Chris makes are elegant and structured to age very well, but can also be enjoyed at a young age, because the tannins are ripe and buried under the wonderful fruit. 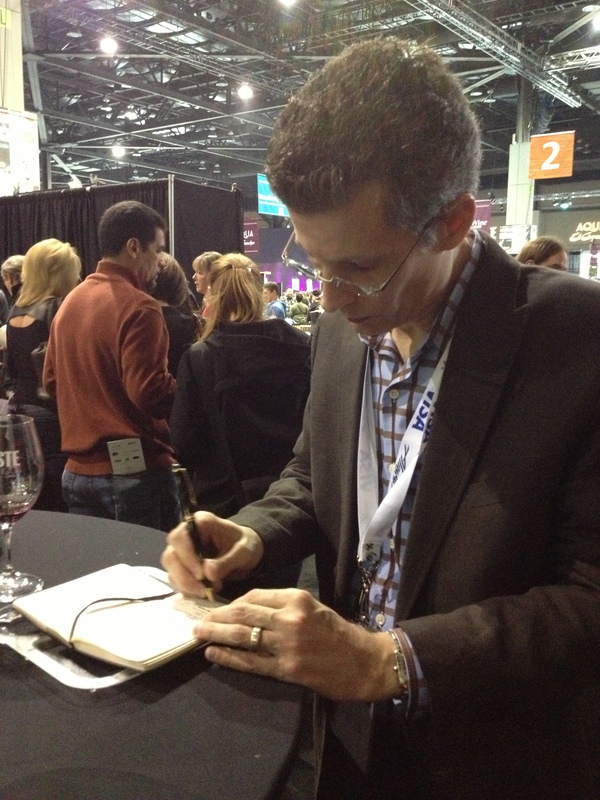 At Taste Washington, we got to try wine from his Figgins Estate and a new Pinot Noir project called Toil, something we know he’s been working on for quite a while. We walked a bit with Chris after we tasted with him, and asked him to point us in the direction of an up-and-coming winery we might not have heard of before, but should know about. He pointed us to Double Canyon, and we have to agree, these guys are doing a good job. Turns out that the new winemaker, Jason Ledbetter, hails from Napa, yet another California winemaker to make the leap and try their hand with Washington grapes. We spent two days swirling and sipping at Taste Washington this year, and came away as convinced as ever that we are making some really great juice in this state – it’s pretty exciting to see the market mature. What’s also great about these Washington Wines is that in many cases, they are available now, so you can find the wines that pique your interest and try them for yourselves. Hard at work writing notes. It’s a tough job, but somebody has to do it. Swiftwater Cellars: Christina’s former co-worker, Bob Silver, introduced us to Swiftwater Cellars. They have what looks like an amazing event space nestled in the Cascade Mountains, a little more than an hour from Seattle. If their lamb and tuna appetizers were any indication, they also have a fantastic restaurant on site. Definitely worth looking them up if you’re in the area – and I’m told it’s a great place to bring the whole family. Sleight of Hand Cellars: We have hung out with Trey from Sleight of Hand Cellars here and there at Washington Wine events through the years, and we’ve always been impressed with the consistent quality of his wines. These wines were no exception. Obelisco Estate: Another winery that was recommended to us was Obelisco Estate. 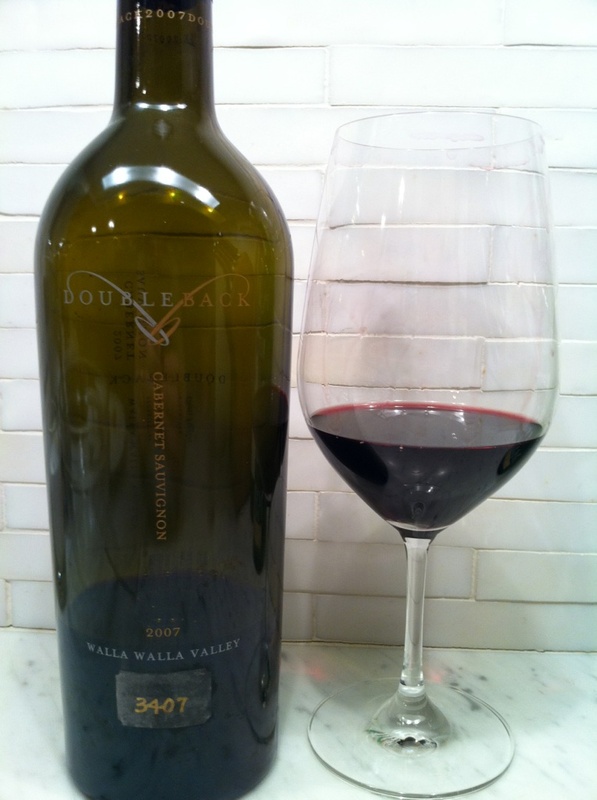 Doug Long of Obelisco Estate may be a relatively new guy on the block in the Washington wine making scene, with 2007 being his first Washington vintage, but Doug is not new to winemaking. 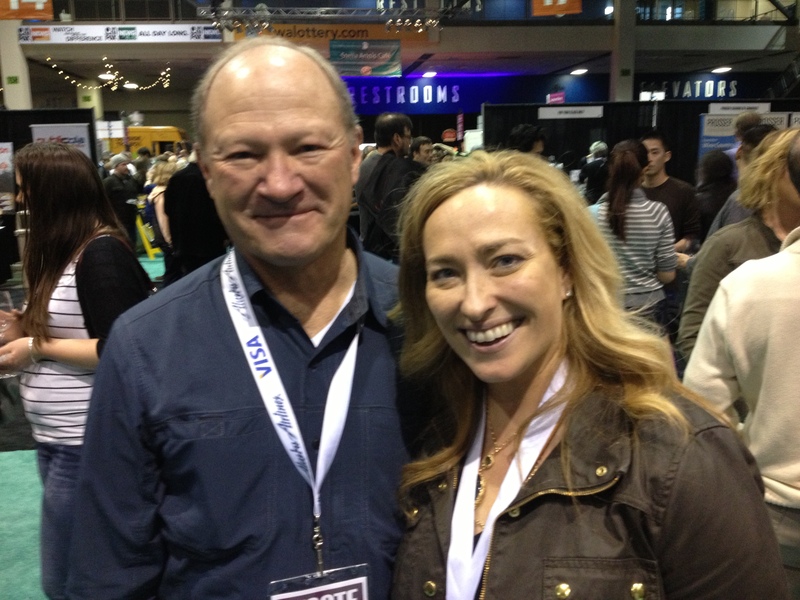 Doug was making some great wine in Napa Valley for almost two decades at his winery called David Arthur. In Christina’s words, she was, “crushing pretty hard on their Syrah.” They also poured her a little Rose project from behind the table that we’ll review in another post. 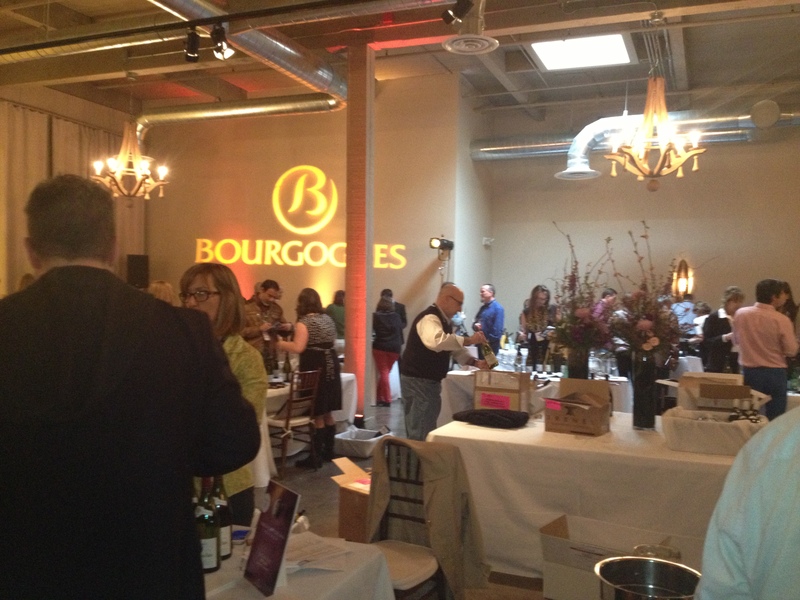 Not only did we recently cover Taste Washington, but we also attended a Burgundy tasting today of nearly 150 wines brought in by their trade association. It’s not quite like reviewing wines at En Primeur (going on now in Bordeaux for the 2013’s), but it’s a lot, even for us. Tomorrow night, we also have what should be a very interesting Chardonnay tasting hosted by a very good friend. We’re new to all of this reviewing, writing and posting – in the midst of our day jobs and family commitments – but we are loving every minute of it. We look forward to bringing you updates and insights – and we most definitely appreciate your patience while we pull it all together. It”s a tough life!